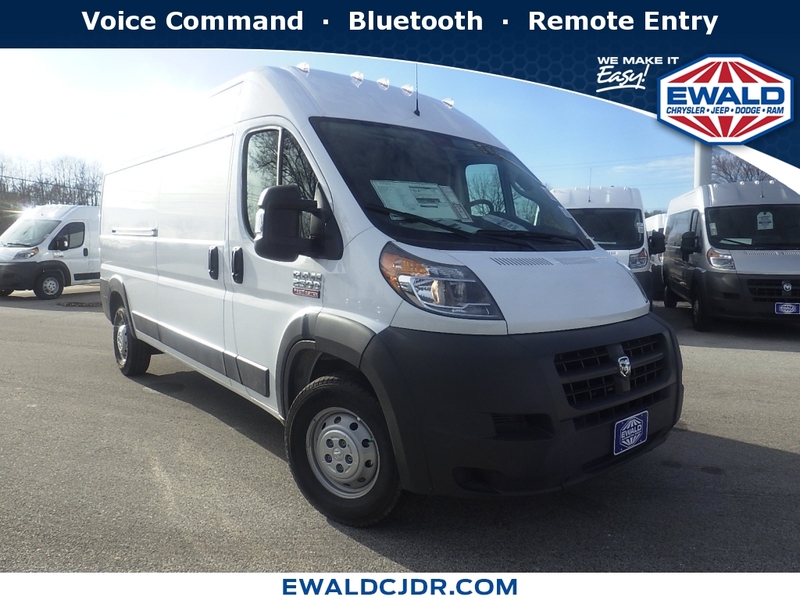 At Ewald Chrysler Jeep Dodge Ram of Franklin the Everyone Qualifies Price is $32,906 for this 2018 Ram ProMaster Cargo Van 2500 High Roof 159" WB. Call us to see what rebates and extra incentives you might qualify for. We'll pay more for your trade! Ewald Auto, we're minutes from anywhere. Fast Start Blowout!!!! UP to an additional $2000-$6000 in savings, available 0% Financing and no money down low payment leases; call now to get details!!! We'll pay more for your trade! Ewald Auto, we're minutes from anywhere.